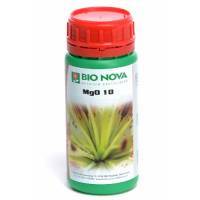 Bionova MgO with magnesium is a liquid magnesium fertilizer. 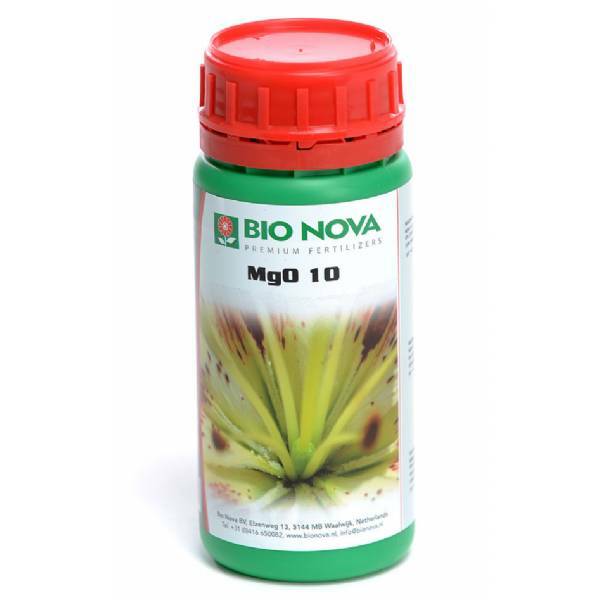 One of the elements that is indispensable in BIO NOVA’s line of liquid mineral fertilizers is magnesium. Magnesium forms the reactive nuclei in the chlorophyll, which converts light energy into chemical energy (ATP and ADP). A deficiency of magnesium manifests itself in chlorosis (slight decolourisation) between the nerves of old leaves and also an early dropping of leaves. An excess results into an ill-growing crop and small leaves. MgO 8 works very fast. MgO 8 is economic and does not contain excess ingredients. In case of deficiencies add 25-100 ml. per 100 litres of nutrient solution.